In an interview with Otherzine experimental fil maker, Lynne Sachs talks about realizing “that there was a pattern emerging in my work, a rhythm between films that were open to changes brought by the times and films that followed a very clearly defined vision or concept. 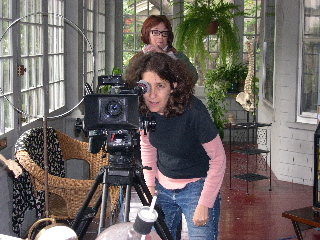 ” Later in the interview she relates what she is trying to do in her films to the avant garde poet, Gertrude Stein’s desire to “create provocative ruptures between the sign and the signifier, between the way we are taught to speak (to communicate) and the way we ultimately choose to express ourselves (art).” Sachs says that her aim is to do the same kind of thing with images and sounds, and one way to do this is to get rid of the traditional chronological narrative and instead tell a personal story through patterned imagery. What she comes up with is illustrated in her recently released DVD of her 2009 documentary essay, The Last Happy Day, which also includes four of her shorter films as well. 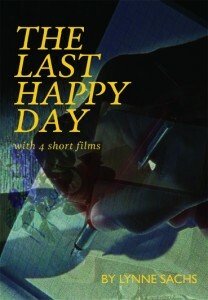 The Last Happy Day aims to create a portrait of her distant cousin, Alexander (Sandor) Lenard, a Hungarian doctor who had kept his Jewish identity hidden from his family when he married. 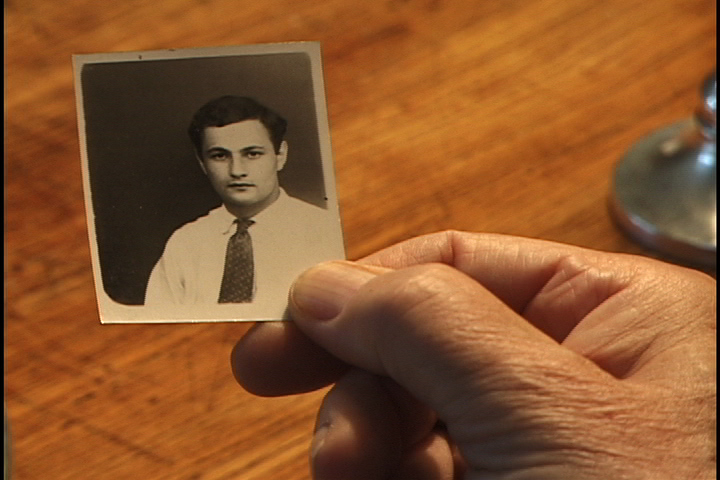 With the threat from the Nazis growing, he fled to safety in Rome, helped rescue other refugees and eventually began working for the US Army’s reconstructing bones of dead American soldiers. Later, fearing a WWIII in Europe, he moved to the Brazilian countryside. It was there that he turned out his Latin translation of Winnie the Pooh, a somewhat strange undertaking, but one that was to garner him something more than his five minutes of fame. Sachs’ documentary rejects the normal grammar of the genre. 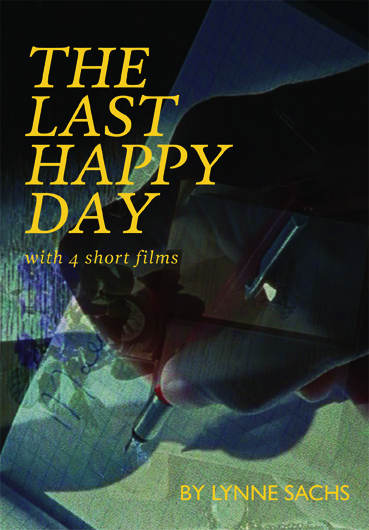 The Last Happy Day uses some historical war footage, sometimes straight, sometimes in negative, sometimes superimposed over other images. There are no expert talking heads. There are two family members who speak, Lenhart’s son and his second wife, but their commentary is limited, and the wife an elderly woman points out that what she says may well be untrue. Memory, she adds, often betrays us. She can’t always tell truth from fantasy. Instead most of the information comes from Lenhart’s letters read as voiceovers. There are shots of contemporary children playacting the Pooh stories, and one of them does some of the background narration as well. All this has the effect of downplaying the narrative and foregrounding the visual imagery. altogether, substituting a completely visual syntax instead. A Georgic for a Forgotten Planet is a visual homage to Virgil’s poem using settings from New York City, juxtaposing images of typical city life with less typical flowers and gardens. One comes away from the film with telling images embedded in the imagination. 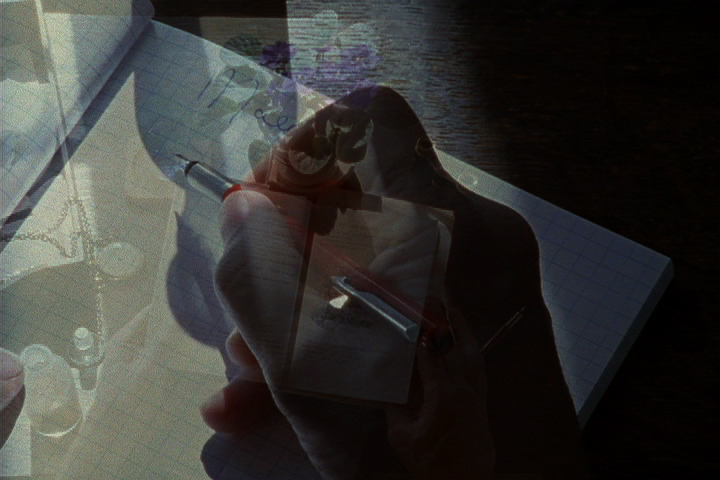 The enigmatically titled Sound of a Shadow, a collaboration with her husband, takes a similar look at Japan, creating what Sachs calls a “visual haiku.” The visual image is the language of both films. It is a language both highly personal and open ended. It is language that can be fraught with meaning for some, meaningless for others. And therein lies the rub, indeed the rub for much of such experimental work in art. There are those audiences that will have no truck with Gertrude Stein’s “ruptures.” They want things to maintain their meaning. These are audiences that will have trouble with some of Sachs’ work as well. For them a random collection of images will simply be a random collection of images, and nothing else.